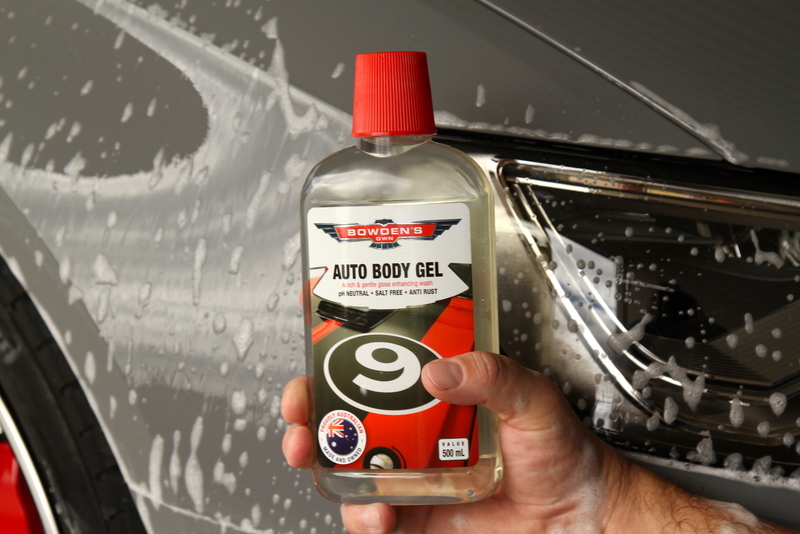 Auto Body Gel wash is a brilliant Aussie all rounder. A rich and gentle wash, to help give your car a lovely clean glow. The very first ever product that we created, after discovering that most car washes on the market contained salt! 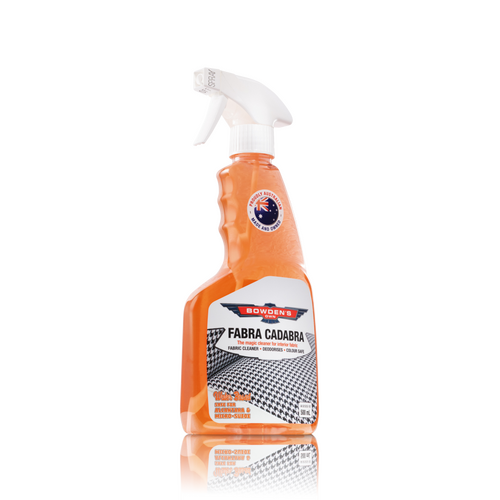 Its been a popular one thanks to its slipperiness that helps stop dirt from micro scratching your paint, and that now famous after wash glow it leaves on your car. Super concentrated as well, with close to double the amount of washes per bottle as the more watered down imports. Give it a go, we promise you'll love it. Which car wash is best for you? ABG - Always Bloody Good!!! Prior to trying this miracle liquid, Ive delved in products from the opposition. 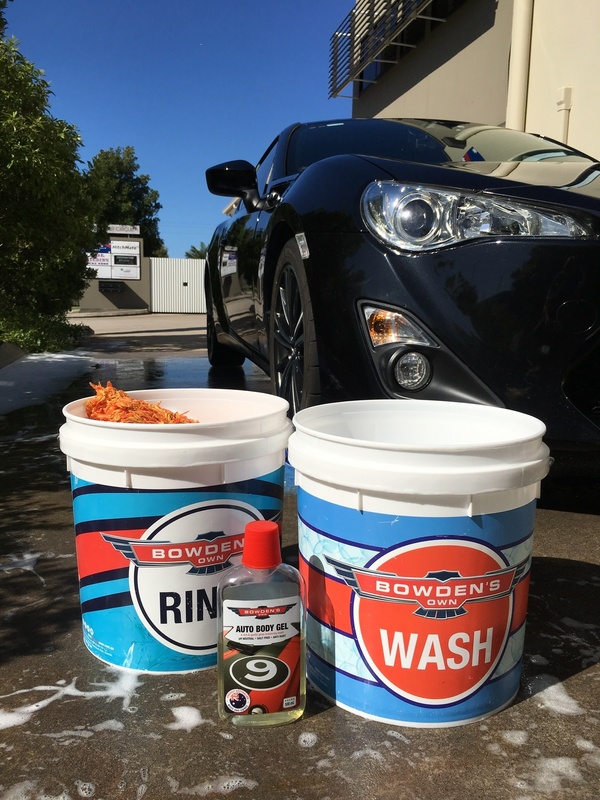 They all make bubbles and look the part, but Bowdens Auto Body Gel is the real deal. I found whilst washing that i did not have to apply much pressure as i would with other inferior products. Dirt, water stains, tyre shine splatters etc just come off so easily when using ABG. You only need to use the tiniest bit of product, and one bottle will last you ages... Affordable, but most importantly, it is safe to use on all paint types. Do yourself a favour, and give it a try now. Not my most common wash, I use usually reserve it for when I can't avoid washing in the sun as it can dry without leaving a single streak mark! While it may not be as dreamy as Nano or as slippery as Wax Wash, it definitely still gets the job done with ease, and always leaves that amazing Bowden's shine! Well what can I say, the best car wash I have ever used!! The Auto Body Gel wash is amazing. I've used many other big names and nothing comes close. -Scruba H - Brisbane Qld. This is the first time I?ve ever written a review and I?m doing so because I feel this has to be said. So hear goes guys. 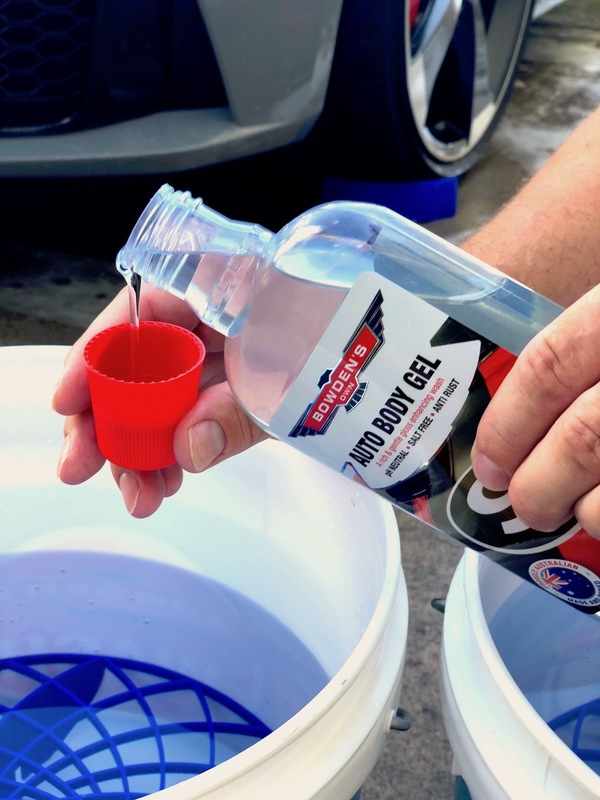 I have never been so pleased in a car detailing product range since now.I am 65 years of age and had many cars and motorcycles during my lifetime. I have always used the expensive vehicle cleaning products, some were good and some not so good.The last few years I used a German product that cost $70 dollars for a 250ml bottle. I?ve tried other products that claim to be the best, but in my opinion they either harm your vehicle or they are completely rubbish.Four days ago I decided to give Bowdens a try. I first washed the car with (Auto body gel) and was impressed by actually seeing soap suds lifting the dirt and how smooth it went on. I then hosed it down and used the Bowden chamois which I might add is absolutely brilliant. After chamoising the whole car I couldn?t believe my eyes, the car didn?t need waxing and it looked like it just rolled out from a showroom. It really looked amazing, and no streaks, smears or dried water marks.Still, I decided to use the (Auto body wax) and polished half the bonnet. Holly S***, one half looked like showroom finish the other half looked like a sparkling mirror!After polishing the whole car I just could not believe my eyes. All these years I had thought the Germans had the only magic product, but now I realise nothing compares to to these Bowden products they are the ants-pants. And once again no smears or white sticky dusty bits.Until now I have never ever in my lifetime used car detailing products that leave your vehicle looking truly unbelievably beautiful and stunning.Thanks guys, you?ve certainly got my vote. - Martin S. - Adelaide, SA. Top quality products! The Auto Body Gel wash is awesome and the Tyre Sheen looks and smells great! - Simon D - Mildura VIC. My awesome wife bought me a number of your products for Christmas, and so I introduced Muffy and your Auto Body Gel wash to my new carIrene last Thursday, and wow didn't the car look great afterwards. Even after a day of rain on Friday the car still looks incredible. Great products, I have to buy more. Oh and I love the car lollies! - Scott T - Sunshine Coast, Qld. I've loved the Auto Body Gel wash from the day you first sent a bottle from 2001, and 13 years on it's still the best product i've used. I remember how it totally blew my mind that a simple car wash could give such an incredible finish, it looked like I'd given the car a full detail and polish ! I still think the same thing every time I wash my car now with your latest formula. I've got my brother using it now and he was telling just last week how great he thinks it is too! A home made Aussie product setting the standard for the world - Peter L. - Melbourne VIC. 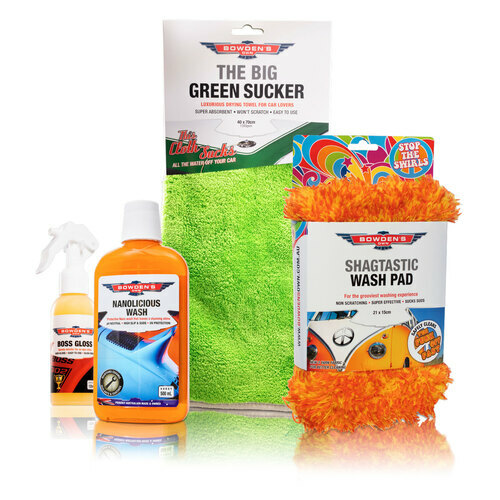 I have been meaning to email you for months, and say a big THANK YOU for developing a great range of car care products! Anyway, after buying 2 new cars in Oct 2012 (my Audi has 2 tone cream/charcoal leather seats with cream leather piping, and my guy bought a white convertible with leather seats) I immediately started my search for a good car cleaner, mostly something for my cream leather seats to keep them looking amazing. I started looking online as I often do, and came across Bowden's website ... loved your enthusiasm and passion for your cars, and even more so the scientific approach to support your products. .... Oh and you have a Gullwing!!!! Went to Autobarn, the young ones tried to sell me other products, and often still do when I go for replacements, but I now always insist on your products. Unfortunately my car has to be parked overnight on the street, (Melbourne inner city has dirty rain) so needs washing often. 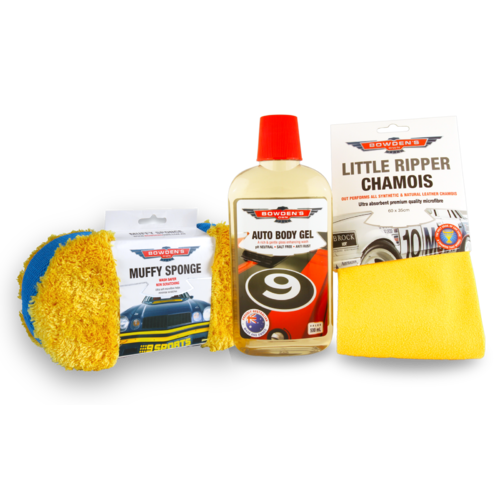 We regularly use the auto body gel, love glove, leather love and leather guard, body detail, applicator mitts and cloths, and 2 different chamois.Each time we use the products, we comment on how good they are. My car has just been given some leather love, hence the email. These leather products feel wonderful to use, gentle on our skin, no nasty smells, and we both feel happy to be using products that will keep our cars looking good for years to come! So, from a couple of non car enthusiasts, well maybe just a little, thank you again, we are always happy to recommend and insist on Bowden's car products! Karen T. - Melbourne, VIC. A great pack with our most popular products to get safely washing with. Our dream wash, created for the very fussiest of fanatics. The fastest and most luxurious plush drying towel you will ever use. A magic deep-cleaning formula for interior fabrics, including Alcantara. Gives your leather the needed protection from daily wear and tear.